One of my biggest regrets growing up is probably not wearing sunscreen, especially when I used to swim and often go outside. In fact, I didn't even start using sunscreen religiously until 2-3 years ago! Needless to say, I admit that my mom was right, and I totally should've listened to her since I now have a couple of sunspots on my face. In my defense, I hated how sunscreen felt on my skin back then. Because the only brands I ever knew for sunscreen were Neutrogena and Banana Boat, I assumed that all sunscreens had the thick, hard-to-spread texture that made my skin feel so greasy and suffocated. Now I know that there's a whole world of sunscreens out there with finishes and textures that are more agreeable with my skin. Although I used to think that sunscreens with a matte finish and oil-control would better suit my oily t-zones, over the past year or so I've found myself gravitating towards more hydrating sunscreens such as this one. According to CosDNA, the only low potential acne trigger in this sunscreen is butylene glycol, while carbomer is the only low potential irritant. This sunscreen consists of only chemical UV filters, which are homosalate, octocrylene, and butyl methoxydibenzoylmethane. Homosalate provides full UVB protection, Butyl methoxydibenzoylmethane, also known as avobenzone, provides full UVA protection, while octocrylene provides UVB protection and some UVA protection. Although avobenzone is relatively safe, octocrylene can act as a photosensitizer that increases the production of free radicals in your skin. Photocontact and contact allergy may also occur for adults and children who use products containing octocrylene (source). Luckily I didn't break out from using this sunscreen, but I do want to warn sensitive skin types that this sunscreen may not work well with their skin since chemical UV filters can be irritating. Moving on, the list does feature some great plant extracts. 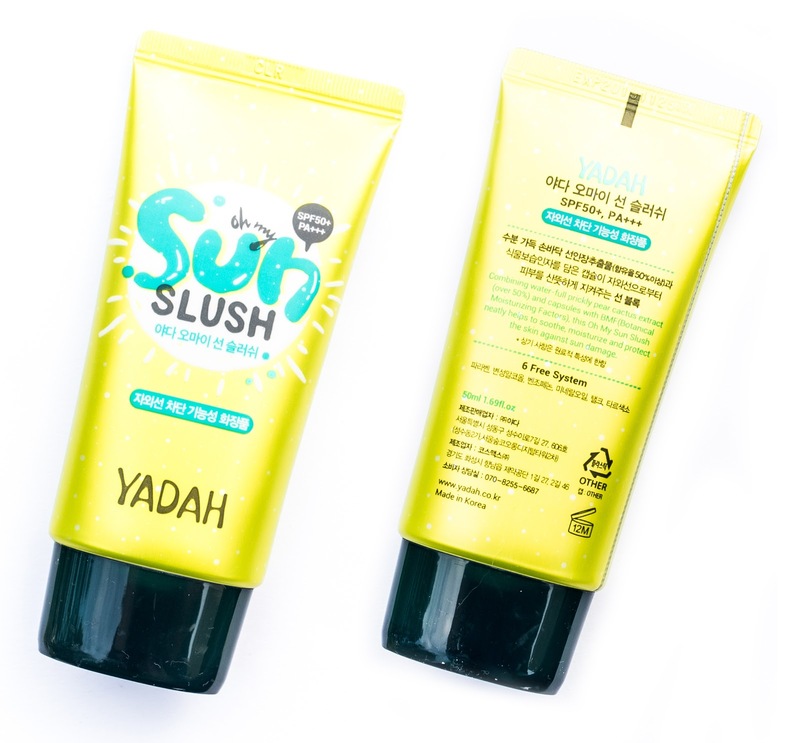 It contains 50% prickly pear cactus extract, which is the star ingredient of this sunscreen. It has anti-inflammatory and antioxidant properties on top of possibly wound-healing abilities (source). This also contains portulaca oleracea extract, sourced from a succulent as well, which has anti-oxidant and skin-soothing properties. Two other notable ingredients are betula playtyphylla japonica juice (birch sap) and bambua arundinacea (bamboo) juice. 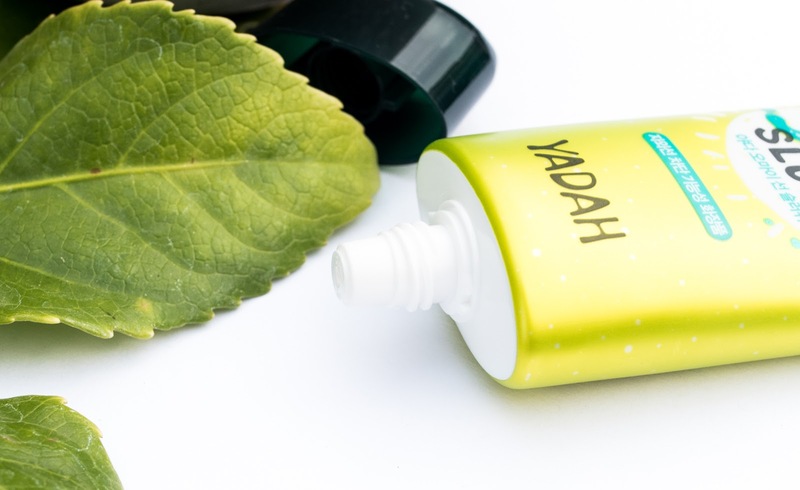 Birch sap has incredible moisturizing properties that helps your maintain a good oil-moisture balance. (Charlotte Cho from SokoGlam talks more about birch sap and why it's good for your skin here, if you're curious about learning more!) Bamboo juice has moisture-binding properties that act as an emollient, helping your skin retain moisture while improving its overall condition. 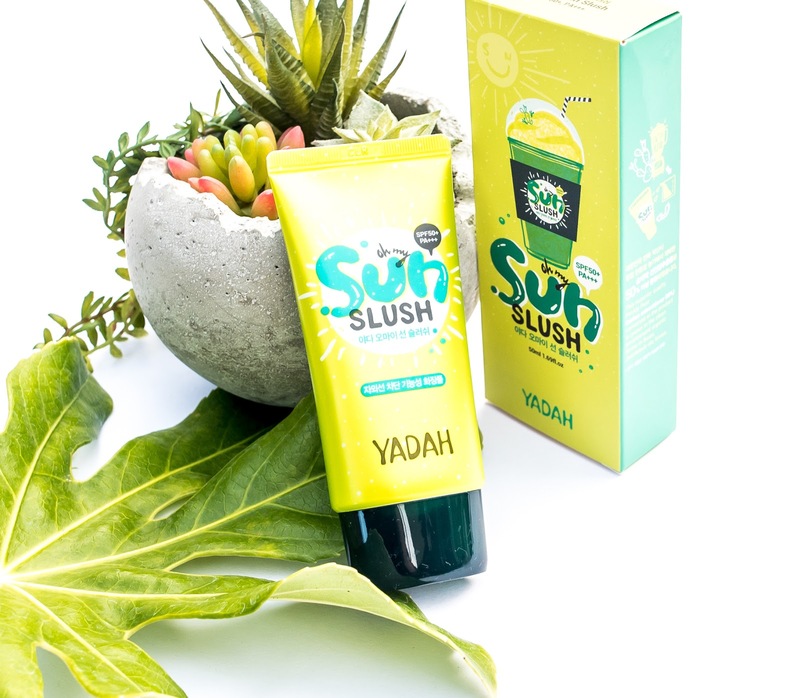 The Yadah Oh My Sun Slush comes packaged in a bright, green-yellow tube. Although it looks slightly metallic, the material is entirely plastic. There's not much to talk about when it comes to the packaging (it's pretty much standard sunscreen packaging), but can we appreciate the product's name for just a moment? Whenever I hear the word "slush" I think of a cooling, watery substance that just melts into the skin. Pair that with "sun" and it sounds like a product that's perfect for the summer (which isn't exactly true, but I'll get to that later). This sunscreen has a really refreshing scent that's kind of floral but not quite. I'm not good at describing scents so I apologize for the vague description >__< It's not overpowering at all though, and doesn't linger after application. The texture of this sunscreen is unlike any sunscreen I've tried before- it contains these moisture capsules that I can actually feel bursting as I apply it to my skin. 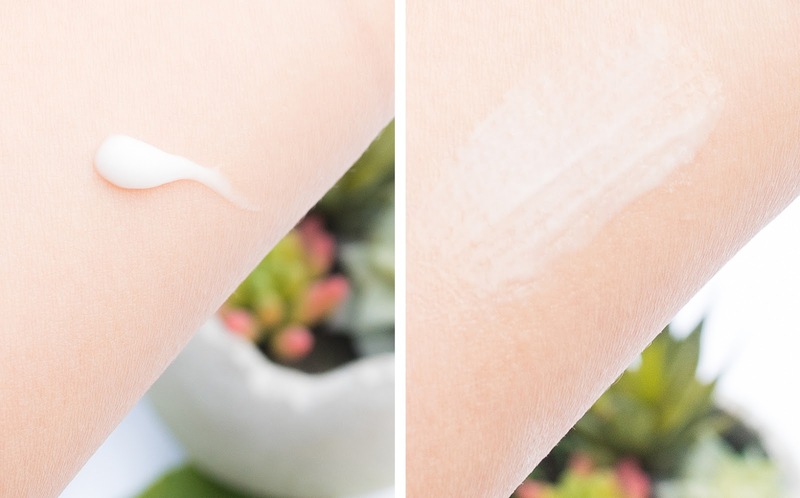 If you've tried those water drop creams before, there's a similar effect in the sense that you can feel the texture changing, only the sunscreen doesn't turn into water the more you massage it into the skin. 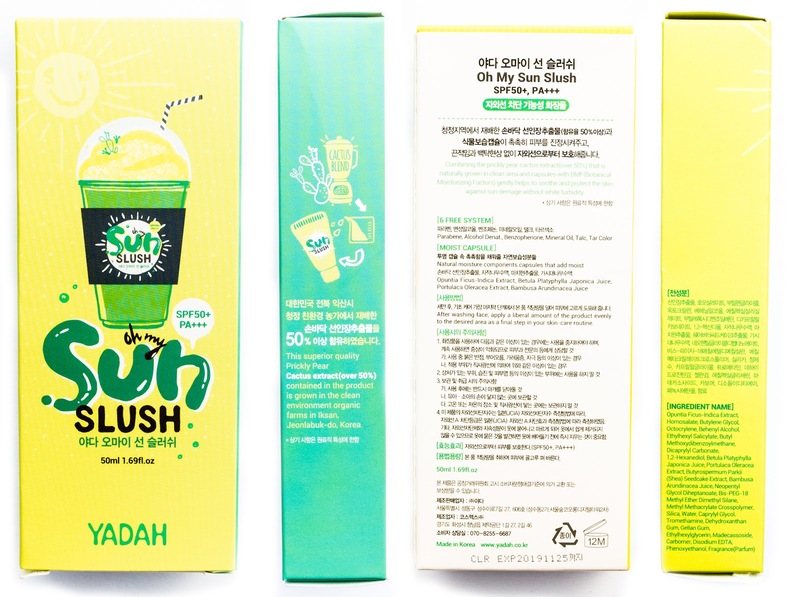 Instead, it becomes like a watery emulsion, and has this cooling and moisturizing effect. It's super easy to spread, and doesn't have a white cast at all. 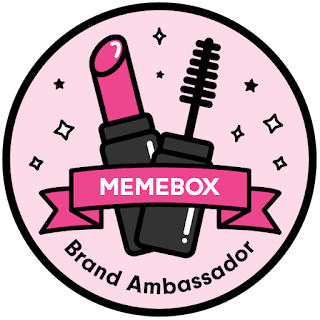 Once applied, it sinks into my skin within a minute or two so I don't have to wait at all to apply foundation. The first couple weeks that I tested this sunscreen out, my skin was more oily than dehydrated, so I hated how it felt on my skin. On top of all of my other skincare products, it was too moisturizing and heavy, and left my skin feeling suffocated. However, in the past week or so, my skin became more dehydrated, and my feelings towards this sunscreen changed as well. When I use this, I skip using other moisturizers or products that are very hydrating, otherwise my skin feels suffocated once again. My current skincare routine consists of products that don't provide much hydration, so this is perfect for providing the boost of moisture my skin needs to not feel dehydrated. For comparison, this is slightly more moisturizing than the Biore UV Aqua Rich Watery Essence. 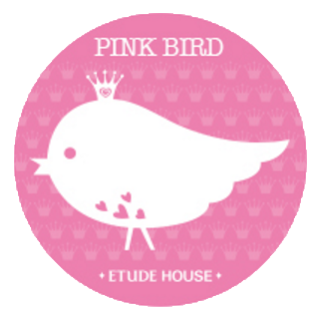 It wears well underneath makeup, and my skin doesn't become oilier any quicker as long as I use a powder. When worn alone, I find that my t-zone starts getting oily after 4 hours, but it doesn't make my skin look like a greasy mess. I personally really like the texture of this sunscreen, and the lack of a white cast. That is due to it being completely made up of chemical UV filters though, so if you have sensitive skin then this may or may not break you out. Luckily I didn't have a problem with this, and it actually had a cooling and soothing effect on my skin! I don't see myself reaching for this in the summer though, because of how moisturizing it is. Even though it gets so dry in Cali during the summer, my skin becomes oilier, so I usually want something with a bit more oil control. But this is great during the winter when my skin leans more dehydrated, and the rest of my skincare routine is lightweight. Overall, I'd say this is a great sunscreen if you want one that's moisturizing and absorbs well. I wouldn't recommend this to oily skin, since it will feel a bit too heavy. If you have combination skin, I'd suggest using this without any other moisturizers to prevent overloading your skin with moisture and making it oily. Dry skin folks, you'd probably love this! 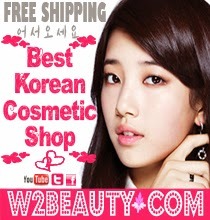 The product featured was sent to me by BBcosmetic for review purposes. All thoughts expressed are mine and 100% honest. What are some of your guys' favorite sunscreens? Now that the weather is getting warmer I'm on the search for new ones to add to my stash. I'd love to hear what you'd recommend, so let me know in the comments below!